This page is an ongoing work-in-progress. Let us know if we're missing something and we'll do our best to find it and make it available. "This All Ages & Abilities facility selection guidance is designed to be used in a wide variety of urban street types. It considers contextual factors such as vehicular speeds and volumes, operational uses, and observed sources of bicycling stress. In doing so, it allows planners and engineers to determine when, where, and how to best combine traffic calming tools, like speed reduction and volume management, with roadway design changes, like full lane separation, to reduce traffic fatalities and increase cycling rates and rider comfort. The All Ages & Abilities criteria is a national and international best practice that should be adopted for all bicycle facility design and network implementation; lesser accommodation should require additional justification. Along with a problem-solving approach to street design, the All Ages & Abilities benchmark should be applied across a city’s entire bicycle network to grow bicycling as a safe, equitable mode for the majority of people." 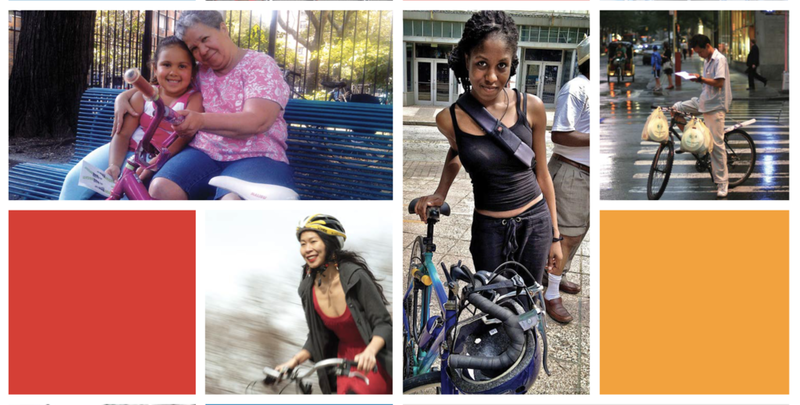 "This report showcases new data and analysis from the League of American Bicyclists and the Sierra Club, as well as compelling statistics and information that highlight the new face of biking in America." Interested in implementing a tactical urbanism project in Fayetteville? This is your step-by-step guide. "Taking a three “E” approach – engineering, education and enforcement – is needed to make gains in bicyclist safety. While infrastructure improvements (engineering) are key, behavioral-related initiatives (education and enforcement) must work in tandem with the built-environment to ensure the safety not only of bicyclists, but all roadway users." "Improving the livability of our towns and cities commonly starts at the street, block, or building scale. While larger scale efforts do have their place, incremental, small-scale improvements are increasingly seen as a way to stage more substantial investments. This approach allows a host of local actors to test new concepts before making substantial political and financial commitments." "This document is intended to be a resource for transportation practitioners in small towns and rural communities. It applies existing national design guidelines in a rural setting and highlights small town and rural case studies. It addresses challenges specific to rural areas, recognizes how many rural roadways are operating today, and focuses on opportunities to make incremental improvements despite the geographic, fiscal, and other challenges that many rural communities face." "Installing bicycle facilities during roadway resurfacing projects is an efficient and cost-effective way for communities to create connected networks of bicycle facilities. This workbook provides recommendations for how roadway agencies can integrate bicycle facilities into their resurfacing program. The workbook also provides methods for fitting bicycle facilities onto existing roadways, cost considerations, and case studies. The workbook does not present detailed design guidance, but highlights existing guidance, justifications, and best practices for providing bikeways during resurfacing projects." "This publication is intended to be a resource for practitioners seeking to build multimodal transportation networks. Achieving Multimodal Networks: Applying Design Flexibility and Reducing Conflicts highlights ways that planners and designers can apply the design flexibility found in current national design guidance to address common roadway design challenges and barriers. 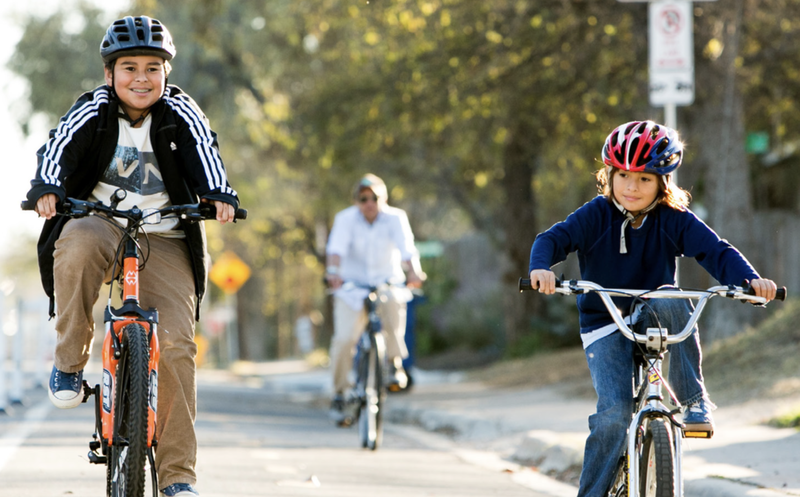 It focuses on reducing multimodal conflicts and achieving connected networks so that walking and bicycling are safe, comfortable, and attractive options for people of all ages and abilities." "This guide shares the terminology used by the team at the PeopleForBikes Green Lane Project to talk about our work on building better bike lanes. Since we named our effort the Green Lane Project in late 2011, we have determined the term “green lanes” is not the best descriptor of the facilities. This document captures our latest thinking, informed by market research, conversations with leaders in the field and our own experience. The evolution of language is one indicator of the rapid and exciting progress in this field. We anticipate updating this style guide periodically as the practice, and the way we talk about it, evolves." "The NACTO Urban Street Design Guide charts the design principles and strategies that cities are adopting to confront 21st Century demands on their streets. It is based on the fundamental idea that streets are spaces for people as well as arteries for traffic. The guide is rooted in on-the-ground, built projects and great streets, and reflects international best practices and research in urban design, planning and engineering." "The purpose of this document is to inform GIS professionals and trail data managers on the nomenclature of trails that the NWARPC, BikeNWA, and the Northwest Arkansas Council staff developed for the Northwest Arkansas Trails Online map and geo-database."